The Pittwater Swim series is upon us commencing with the Bilgola SLSC Swim today, Sunday December 11th (the Billy Swim). Newport Pool to Peak follows (Sunday January 8th, 2017) , then Avalon Beach SLSC's Ocean Swim (Sunday January 15th) and Mona Vale's Warriewood to Mona Vale - The Don Jenkins Memorial Swim, this year celebrating its 40th anniversary (Sunday January 22nd). The original, the Palm Beach to Whale Beach, The Big Swim, will run on Sunday January 29th this Pittwater Swim Series. The Big Swim is Race 5 in the Pittwater Swim Series 2016/17. Swimmers who do at least three of the five swims in the series will go into a draw to win a weekend in Byron Bay to take part in the Byron Bay Swim on May 7, 2017. The swims raise much needed funds for the surf life saving clubs who host them which is put towards equipment used on the sand over the season to prevent the loss of life. The Big Swim celebrates its 43rd running in 2017 - which means, for those who have gone in all Big Swims, a 2.8 kilometre swim, they've swum around 117.6 kilometres, or close to 74 miles. First held in 1974 as an idea put forward by Bob Lynch, father of Barton, The Big Swim attracts the very fast and the very determined. It's the one everyone who loves ocean swims wants to do at least once and many come back every year. 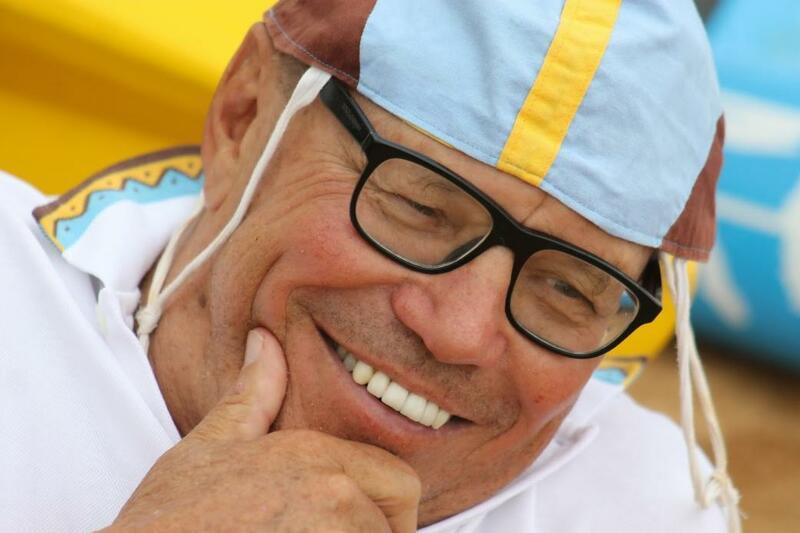 Bill Phillips is a gentleman who has been in The Big Swim since 1982 and was recently awarded Life Membership at Whale Beach SLSC. Bill's name keeps turning up among results at carnivals as he's a very good swimmer and has been since quite young. This week Bill shares a small insight into one of his favourite swims - The Big Swim! In 1943 in Fairlight, Manly, my parents lived in Peronne Avenue Clontarf. Where did you grow up and what did you do for fun? Originally at Clontarf and then Mosman. We would go to Balmoral baths all summer. As a result I was very involved in swimming and have been all my life. I originally joined the Spit Swimming Club and then I joined Balmoral Swimming Club and I started playing water polo at Balmoral. Obviously, as I’m still swimming now, it’s something I still love. How did you begin playing water polo? We started a team at Balmoral in 1959 when I was 16. There was a group of people that wanted to play water polo so we started this and playing in the 3rd Grade and went on from there. Didn’t you end up playing in a team representing NSW and then Australia at the Olympics? Yes; I represented Australia, NSW and the Australian Universities Team. I joined Whale Beach in 1981 initially because I’d bought a weekender there and wanted to contribute. I think Whale Beach is one of the best surf beaches in Sydney – because of the two headlands there’s always a wave and it is easily one of the best body-surfing beaches or surfing beaches here. It’s a dangerous beach from the point of view of someone who isn’t a strong swimmer and is unaware there’s a rip at the south end and one that runs at the north end. I originally got my Bronze in Surf Life Saving at Dee Why in 1959 and so have my 50 year gold Surf Life Saving membership award. My grandmother lived in Dee Why Parade and my uncle was a member at Dee Why SLSC. You have recently received Life Membership at Whaley – what roles have you filled at the club? Yes, I’ve been a member for 35 years. I’ve been the Honorary Solicitor, Handicapper OH & S Officer and Committee Member. I started training again a few years back and in 2009 I competed in the Masters Surf Championships for Whale Beach and are currently my age Australian champion for the Surf Race and Rescue Tube Race when I competed at Maroochydore in April 2016. You were a member of the Grey Whales Patrol ? Yes, for the past 20 odd years, however due to our age we have had to cease as a separate patrol. Why do you like swimming so much – you’re still doing it seven decades on? I love it, I still swim everyday. When did you first go in The Big Swim? I first swam in the Big Swim in 1982 and still have a pennant from 1983. I’ve swum in this every year since. What’s the most challenging aspect of this swim for you? You can get a southerly which can test you if it creates a big swell from the south. The challenging thing is getting out at Palm Beach and then getting in at Whale Beach. It’s a beautiful swim though, swimming around those points on a flat day, a glorious blue day, and you’re looking at the bottom of the ocean and seeing fish, at the cliffs as you swim by, it’s just a wonderful swim. Being a destination swim makes all the better; you leave from one beach and go to another – it’s really a very unique swim and the pre-runner of all the other Ocean swims that have evolved as a result. People who like ocean swims want to do this one at least once, there’s something iconic about The Big Swim and what the Whale Beach SLSC has done in bringing this about has been wonderful for every other club and for swimmers and swimming itself. People who do this swim get a real sense of achievement and anyone who does ocean swims has it on their list of ones to do – we get some people who do this swim every year as they want to be in the original. 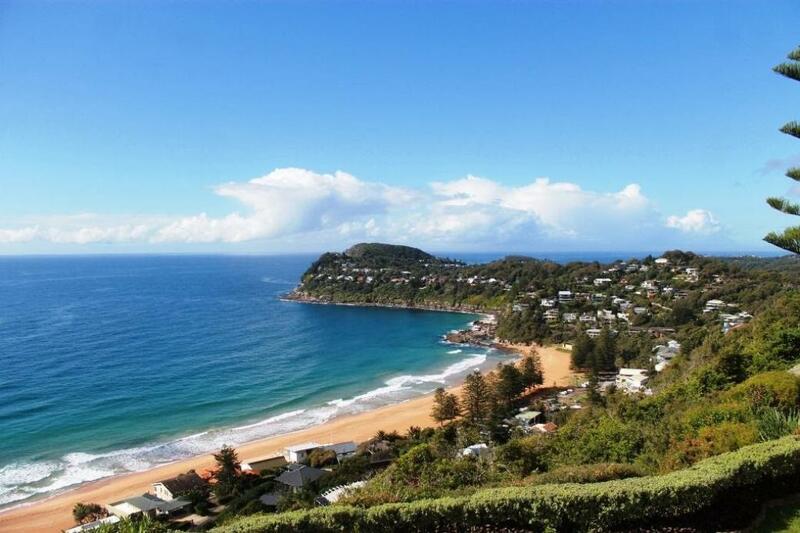 What are your favourite places in Pittwater and why? Whale Beach of course; it’s just a beautiful place – you can walk along the beach as the sun’s coming up and it’s magnificent. The waves rolling in, you can just sit there and watch them, the headlands, the lovely sand, the rockpool is lovely; my children and now my grandchildren use that pool. We’re lucky here as these rockpools are all along the Northern Beaches – they’re great places for families, great for the children. They’re great for retired people too, they go down and do their laps every day, year round. You can swim up to south Whaley from the north end past the wave break, it’s just lovely. I’ve been doing that for 35 years. Of course sitting on the surf club deck is a great place to be too, you realise how lucky you are to be part of such a club – the view is second to none, great people involved, great facilities. I can sit there and look straight out to sea and you never fail to remember how lucky you are to have access to such a great beach. What is your ‘motto for life’ or a favourite phrase you try to live by? This may seems a simple one but this has been my motto for a long time – nothing in life is easy and you have to keep going and keep trying. I’ve said this to my children since they were young, have applied it in my swimming and all other areas of my life. If you want to win things, if you want to succeed in your career or in any other area of your life, put in the effort and realise you may have some pain in reaching any achievement – you have to get in and do the hard work to see the results. 50 Year Gold SLSA Membership Award 2014. Branch, State & Australian Championships Winner. Aust, Champs Medals, 4 Gold, 2 Silver, 2 Bronze. Whale Beach SLSC Club Handicapper 2007-2009. Whale Beach SLSC Honorary Solicitor 2009-2017. Whale Beach SLSC OH&S Officer 2009-2017.